Although Thailand is known to be a country with flexible laws, it is not uncommon for a foreign national, usually on holiday, to become arrested for possession of drugs, assault, or other crimes. Thailand has laws that need to be respected, and breaking them may put you behind bars. First, you should inform your local embassy or consulate. Though the embassy or consulate will not be able to help you drop your charges, they will contact your family and friends to inform them about your current situation. In addition, they may also provide you with some information regarding the Thai legal procedure, along with a list of local attorneys you can contact with. Next, find yourself a local attorney that can speak English or your native language. It is important that you and your attorney are able to communicate, so your best interests are clearly represented. Your attorney will also be able to update you on your case. If you don’t have an attorney, the court will appoint you an attorney to represent you on your behalf, if your charge carries a maximum penalty of 10 or more years. Keep in mind though, that court-appointed attorneys are usually inexperienced and have limited English proficiency. Before you talk to your attorney, you have the right to remain silent, under Thai law. It is important to remain silent if you don’t fully understand the Thai law, otherwise you may be at risk for getting into a more difficult situation. Plea bargaining occurs with the local police, and all negotiations regarding criminal penalties being reduced from a guilty plea occurs with the police, not the government prosecutors. It is best to let your attorney review the evidence before deciding on the best course of action. You may be eligible for bail after your arrest. Bail for small cases can be paid at the police station immediately after your arrest. Bail for larger cases may not be granted due to flight risk, but are paid after your first court appearance, which is about 12 days after your arrest date. After bail has been paid, the court will usually hold your passport for 6-8 weeks, until your next court date. If your drug offense has a penalty period of over three years of imprisonment, you may be asked to consent to a drug test by the investigator. The investigator may or may not submit the test results. However, your refusal to perform a drug test could be used as evidence in the courtroom. The best way to avoid getting arrested is to respect the law. Refrain from using illegal substances and stay away from environments which may potentially put you in lawful trouble. However, if you ever find yourself in this situation, feel welcome to contact our experienced English-speaking Thai lawyers and attorneys at Siam Legal at 02-259-8100 (local) or +66 2259-8100 (overseas). My brother is in prison in Thailand for the case of attempt of murder from March, 2013. He got the punishment of nearly 5 years of imprisonment. He is from India and don’t know the thai language. Now we are trying for shifting to India and also want to apply for Royal pardon. So what is the procedure for applying the petition for foreigner. We will be forwarding your enquiry to one of our Litigators. Please provide us with your phone number and email address and we will contact you as soon as possible. 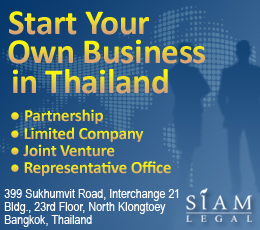 Or, you may also send us an email at info@siam-legal.com. It is learnt that Indian tourists to Thailand are being harassed for false shop lifting cases on duty free shops. This is in connivance of police. Report says the seller puts extra material in your bag without your noticing that. You are caught at the exit point and handed over to police for extortion and harassment. What should be done under such circumstances? It’s best that you consult and seek legal assistance from a lawyer in Thailand who has the expertise in this area. For further advise on your concern, you may send an email to info@siam-legal.com.